Sleep apnea is a medical condition and sleep disorder that occurs when your airway becomes obstructed or constricted while you sleep. 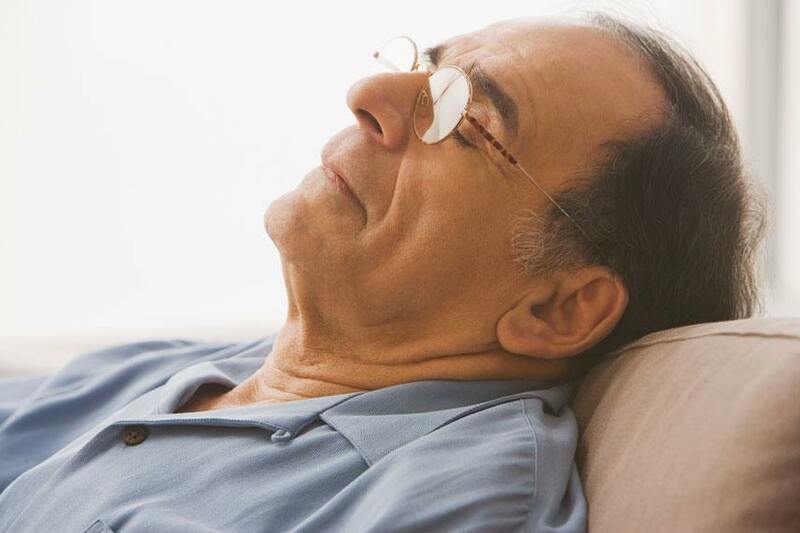 Recent studies have found that although age and obesity do play a factor in who does or does not have sleep apnea, sleep apnea can affect men and women alike, all shapes and body types.At Credit River Dental Centre in Mississauga, we treat sleep apnea like the serious medical condition that it is. In fact we screen all our patients for sleep disordered breathing as this condition can also affect children. If you get a good night’s sleep and still feel tired when you wake up, you may be suffering from sleep apnea. Because your body isn’t getting enough oxygen, you may wake up with fatigue, drowsiness, and poor concentration during the day. If left untreated, sleep apnea can lead to depression, weight gain, headaches, high blood pressure, diabetes, erectile dysfunction, stroke, or even heart attack. Sleep apnea affects over one million Canadians, yet most people with sleep apnea don’t know they have this medical condition. Usually the sleeping partner is the first to notice the signs of the condition which including loud snoring or sudden gasping outbursts of air that repeat multiple nights a week. To help the patient receive more oxygen into their body, sleep disorder specialists usually prescribe a CPAP machine which is a mask worn while the person sleeps to increase airflow into the nose and mouth of the user. Unfortunately, CPAP machines can sometimes feel awkward to use and two years after being prescribed a CPAP machine, on average only 20% of patients continue to use it. They can be cumbersome to set up and use, bothersome to travel with, and annoying to your sleeping partner. The mask has a long tube and constant blowing air, and can limit your movement in bed. In the end the patient doesn’t actually end up getting the rest the machine was meant to provide. You may be wondering why a dentist would be concerned about sleep apnea. 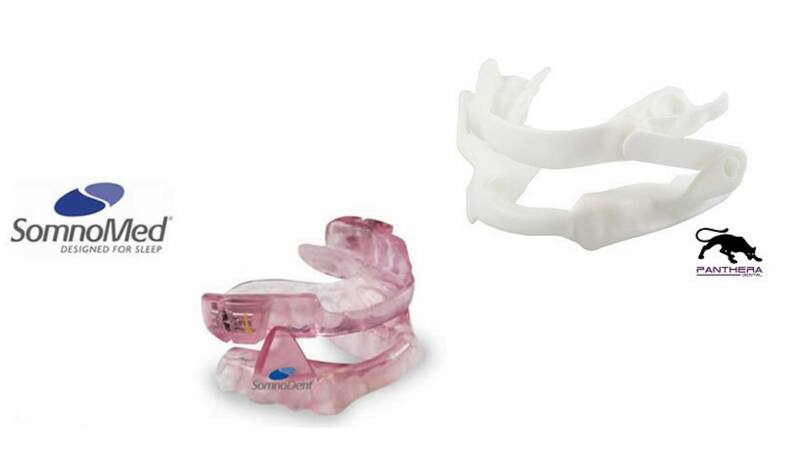 One of the signs of sleep apnea is tooth grinding or bruxism. That’s not to say that all grinding is due to sleep apnea but when someone has sleep apnea, one of the protective mechanisms for the body to achieve a more open airway is to move the lower jaw back and forth much like the ‘chin lift’ used in CPR training in order to open the airway. Secondly, your dentist or hygienist usually spends a fair bit of time looking in your mouth and down your throat or airway so we can give a fair assessment if we see anything suspicious. 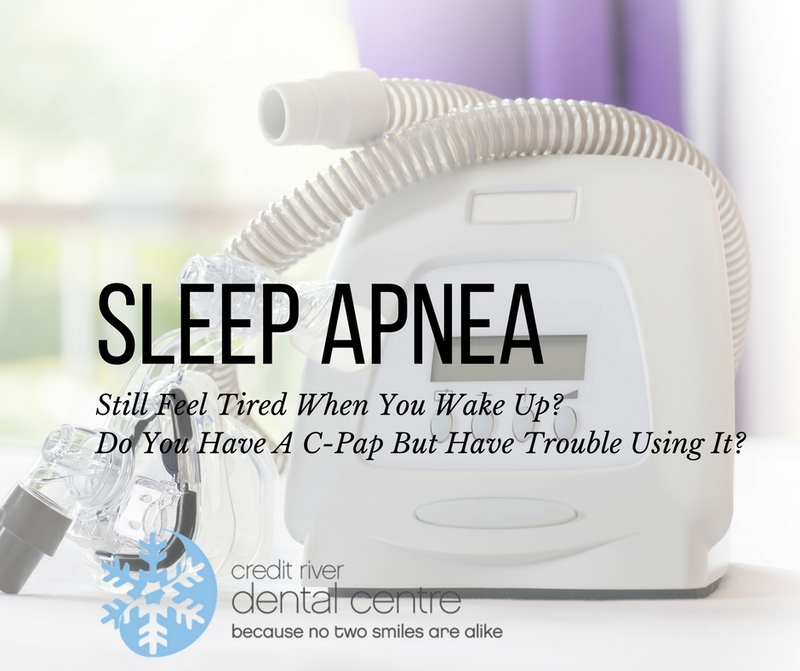 If you suspect that you have or you’ve actually been diagnosed with sleep apnea by a doctor and annoyed by the discomfort and disruption of the CPAP machine, please give Credit River Dental Centre in Mississauga a call for a complimentary sleep apnea consultation. With the information provided in your sleep study and in partnership with a physician, we can provide comfortable, custom-fitting dental appliances as effective alternatives to the CPAP machine. That way, you and your partner can get back to a restful sleep. To take our Sleep Screening Questionnaire, click here and you can then forward it to our team at dentistry@creditriverdental.com so that we can assess your screening! Do You Already have Sleep Apnea and a CPAP doesn't Fit Your Lifestyle? Here at Credit River Dental Centre, your Sleep Apnea in Mississauga Dental Office, we can provide you with alternative treatments to the CPAP machine. These are just a couple of the appliances that we offer that can help you have a better night's sleep! If you have any further questions or concerns or for a free consultation regarding our alternative treatments to the CPAP machine, please don't hesitate to contact us at 905-278-4297!